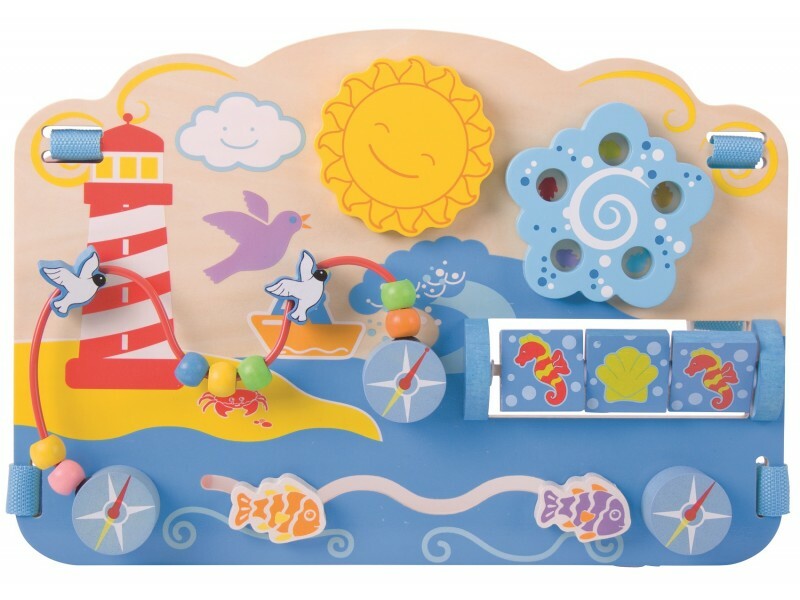 The Marine Activity Centre is a colourful and engaging interactive wooden toy from Bigjigs. 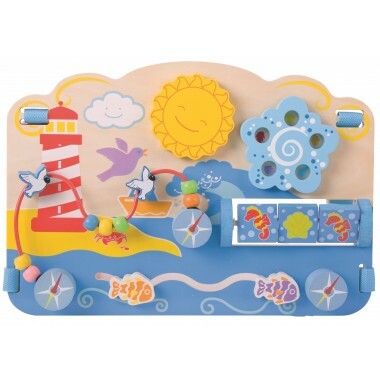 Suitable for children aged around 6 months and above, this wooden activity board depicts a day at the seaside where fish swim in the sea, dolphins and seashorse frolic and the rotating sun shines happily above. 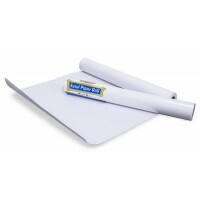 The Marine Activity Centre has useful straps for attaching to cots and other stable items. This entertaining toy encourages children to move beads, buttons and counters and enhance their fine motor skills while learning about shapes and colours. Good price. 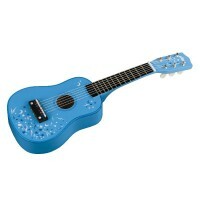 Quality toy. My grandson enjoys playing with it.